Get everything you need in one convenient delivery and save money on the cost of these separate items. Our mid-capacity coop houses up to 6 hens and is the easiest to keep clean thanks to it's fully opening roof and easy open front panel. Perfect for children or for people with lower mobility who might struggle to access their coop for cleaning. 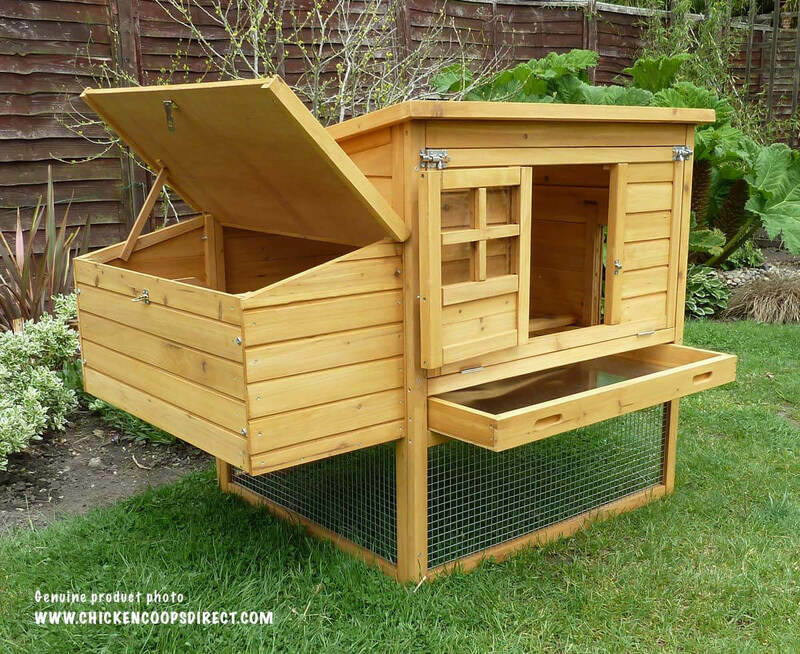 The Dorset is a neat, easy to clean chicken coop and with almost 9 square feet of internal housing space is large enough to comfortably hold up to 6 hens. 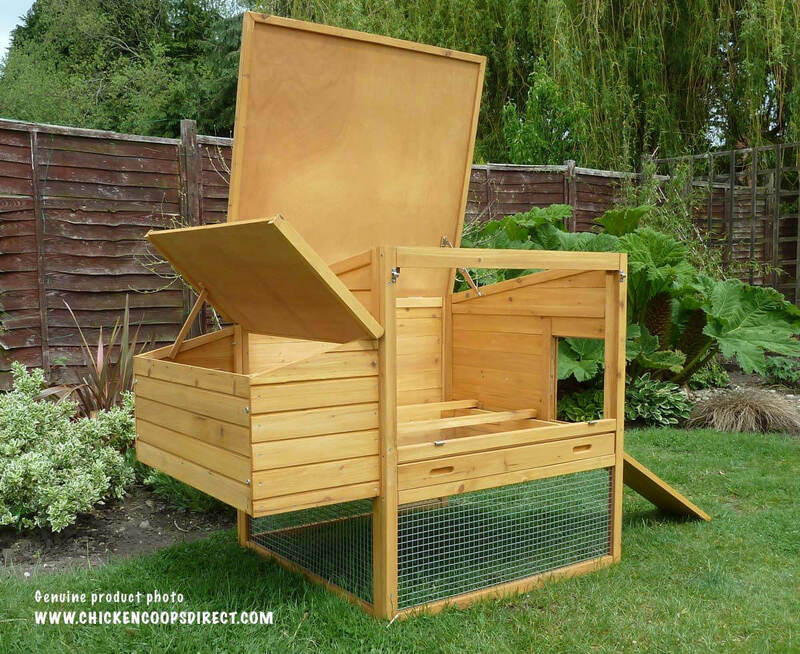 The superb quality and clever design, not to mention the range of very handy features, make the Dorset a fantastic option especially if you are after a quick and easy to clean chicken coop. The nesting area of the coop is raised off the ground to prevents rats and other rodents from entering and at the same time keeps the dampness out of the coop ensuring a healthier environment for your chickens. The small door with 4 perspex windows allows plenty of light into the coop, keeping it well lit during the day, as well as giving you an access point. A removable ramp makes it easy for your hens to get in and out of the hen house via the (now solid*) sliding door and the large felt free roof lifts up and is perfect for checking up on your chickens without disturbing them. When it comes to cleaning out your coop the Dorset is a real winner. The large nesting box and the extra deep pull out tray are both fully removable. 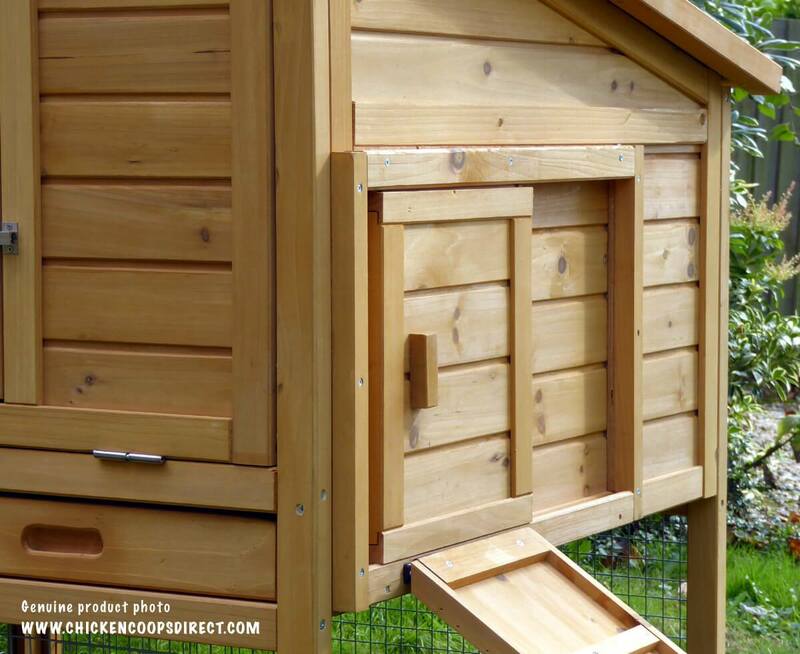 Inside the large housing area of the coop are two fully removable perches and plenty of roosting space for your hens. The entire front panel can even be unlocked and opened to allow for full access inside. 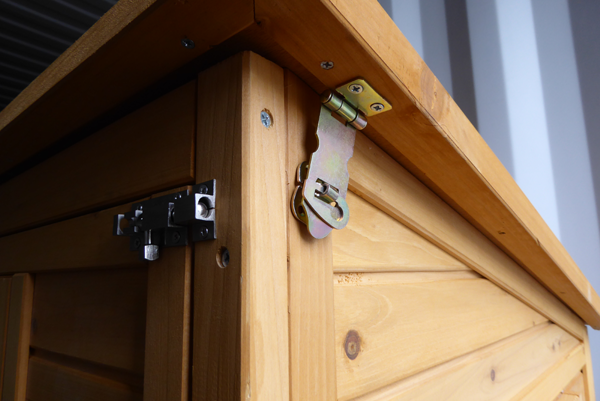 This handy feature alone makes the Dorset possibly one of our easiest wooden coops to clean. All our coops use 12mm tongue & groove timber supported by strong 35mm x 25mm framework. Our wire mesh is 1.5mm thick. Total footprint (inches): L 51.18" x W 35.43" x H 40"
Nesting box (in inches): W 29.13" x D 13.58"
Internal housing area (in inches): W 30.9" x D 33.6"
Box 1: 100 x 93 x 12.5 cm @ 18.5kgs. Box 2: 88 x 82 x 12 cm @ 15.5kgs. 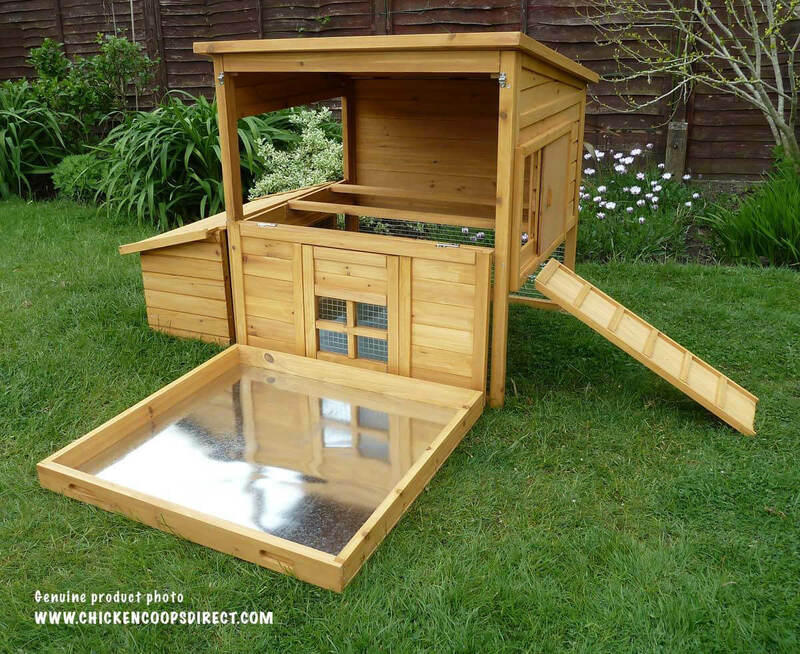 The Dorset Coop is supplied flat packed for easy home assembly. This set comes flat packed in 2 boxes. Instructions are included. All you will need is a small screwdriver and an adjusting spanner. How many hens can the Dorset hold? The raised roosting and nesting area of the Dorset Coop will hold 5 to 6 medium sized birds quite comfortably. The wood we use in this product is a highly durable and scented softwood which is noted for its resistance to decay and rot. Our wooden coops are treated with a base coat of wood preservative but as with all outdoor wooden structures, we recommend that you treat your coop with a high-quality varnish or wood preservative once a year (preferably before the winter season) to maintain the applied preservative and water repellent properties. 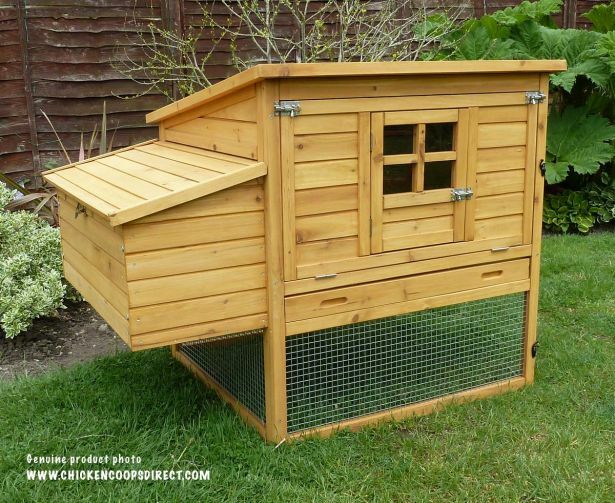 We also highly recommend that you try and position your chicken coop in a protected area which is not overly exposed to high winds and the elements. * All measurements are approximate and are provided for informational purposes only. Standard Delivery (£12.95): Orders are usually delivered within 3 to 5 working days. 1. How many hens can the Dorset hold? 2. Can I set up the Dorset the other way around? While some customers in the past have set up their coop the other way around, it's not straightforward and would involve a fair bit of D.I.Y to do, so unless you are adept at D.I.Y then the Dorset should be put together the way it is shown in the photos on our website. 3. 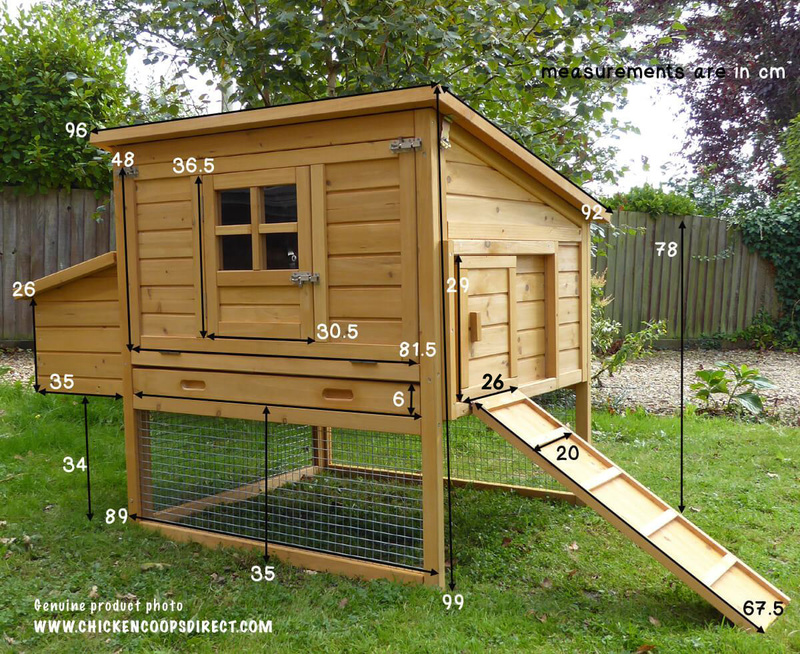 Can I fit an Automatic Door Opener to this coop? No, unfortunately not. All the door openers on the market work with doors that open in an up/down direction (pop-hole doors). As the Dorset has a sliding door a door opener would not work. However, the Devon Hen House has been specifically designed so it can be fitted with an automatic door opener. We use and recommend this door opener. Yes, the Dorset Coop comes with a base coat treatment of wood preservative. As with all outdoor wooden structures in our harsh climate, we recommend that the timber is treated on a regular basis to ensure a long life. If the coop is treated, to begin with, and thereafter on a yearly basis and is well looked after and cleaned regularly there is no reason why a lifespan of 5 to 7 years or more could not be expected. There are many popular products available with Cuprinol, Ronseal and Wilkinson amongst the better known brands.A lot of customers use and recommend these: Brand Option 1 or Brand Option 2. 5. Can I add a run at a later stage? Yes, you can add runs at any stage. 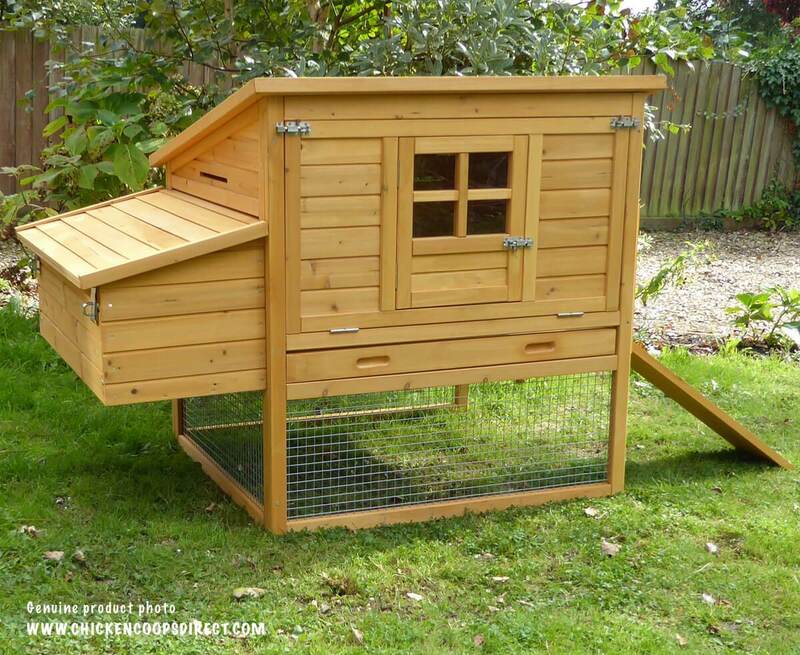 These can be joined onto the front or back of the coop and you can join as many runs together to form whatever size of space that you need. For more information on the Dorset Run by itself click here: Dorset Chicken Run. 6. How do I lock the roof? 7. Is the Dorset fox-proof? 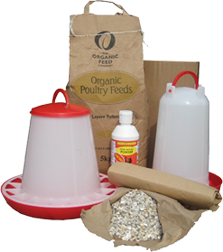 We would like to think that our coops are made to a higher standard than most other suppliers in this price range. 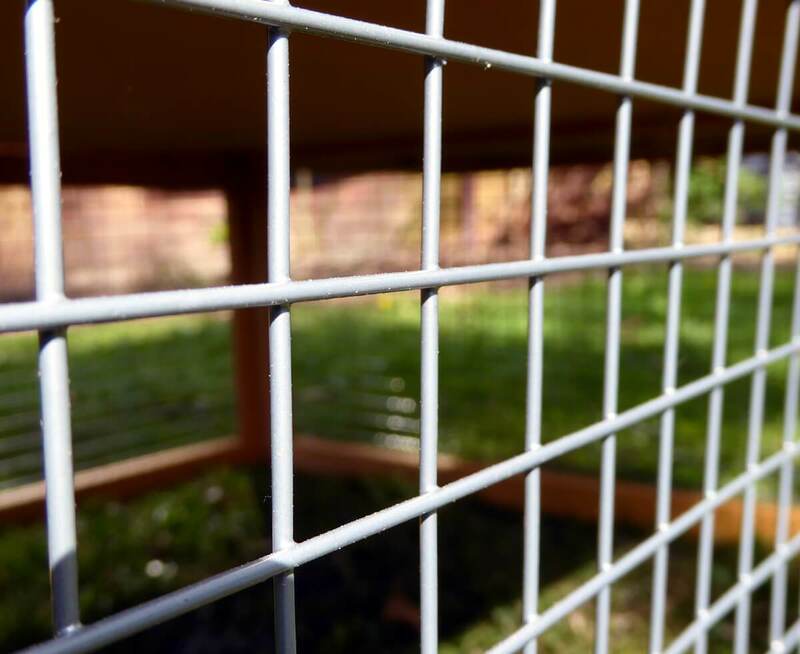 While we have purposely used thicker, sturdier wood, wire and locks with the aim to make it as safe and secure as possible for your chickens we cannot absolutely guarantee that foxes and other predators won’t try and target them. Foxes are by far the biggest threat that your pets will face so if you are going to keep your chickens then we also urge you to take these added precautions especially if you know you have foxes in your area. 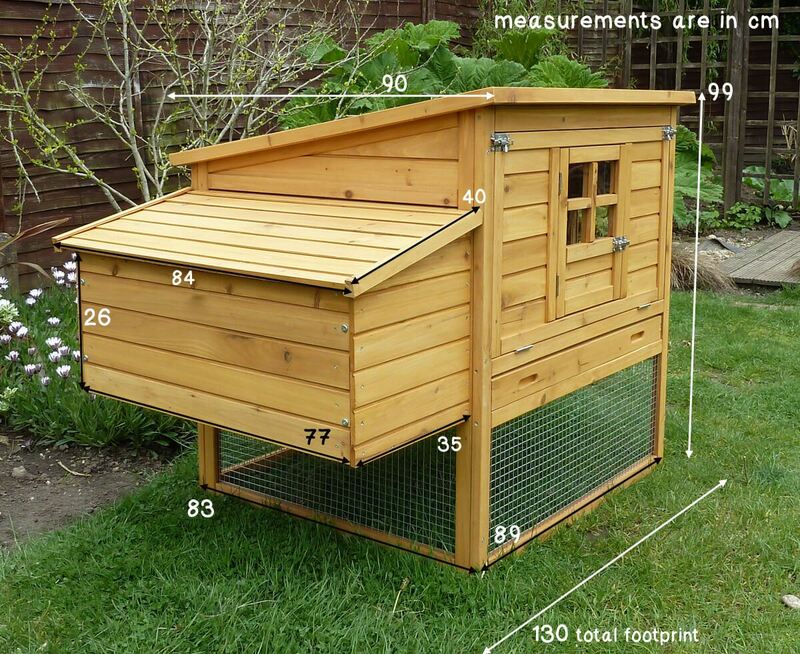 We’ve sold more than 20'500 chicken coops online in the UK in the last 9 years. Many of our loyal customers recommend us to friends. “WOW fantastic , from placing the order, to receiving, and getting the Coop. Very, very impressed with my Coop. Did not expect the helpful emails. 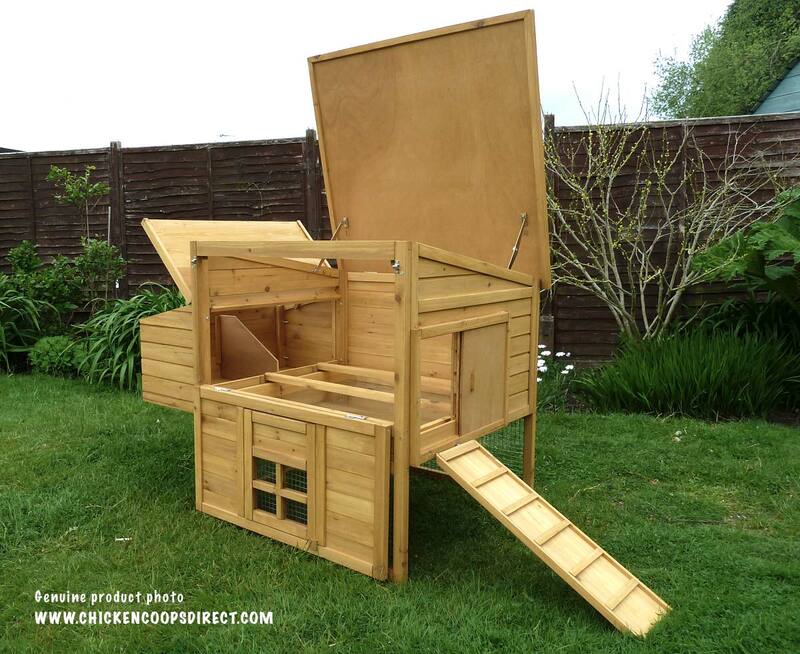 “I am delighted with my Sussex chicken coop. This is the second one I have ordered from you. I ordered it on Sunday night and it arrived on Tuesday on the Isle of Wight! Brilliant. I noticed that you have fixed the one design defect I noticed from the first one I bought and that is making the ladder removable so it's easier to move to coop around. The coops look lovely in our orchard. The older one which we have had for a year still looks as good as the newer one and there is no sign of any deterioration to the wood or roof.